Venom. Not the movie version.. HD Wallpaper and background images in the Spider-Man club tagged: spiderman venom spider-man fan art image nebezial. 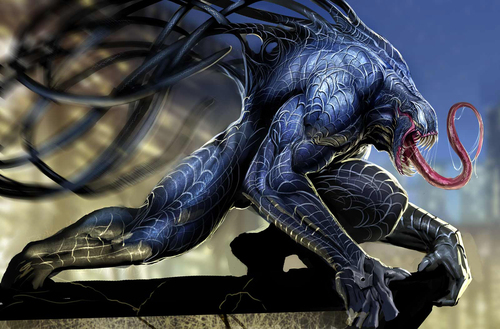 venom is the coolest villan of spiderman ever to live!!!!! This Picture is very very cool!!!!!!!! the artis of this picture is a genius!!!! and please I want to contact whit him!! best villain in spiderman history EVER! But still, its too revolting to look at!